It’s that time of year again, when I try and figure out how many of you there are and where you come from. 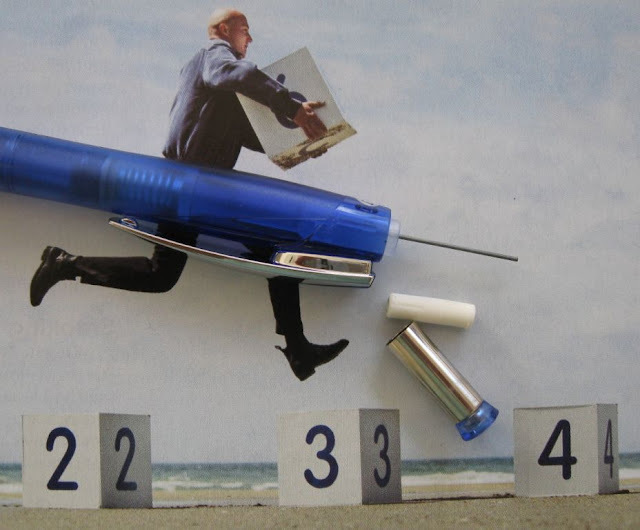 I’ve become somewhat stat-obsessed and have 4 different visitor counters on this blog and naturally they all disagree with each other, but they do paint the same overall picture. About 55% of visitors are from the good ole USA, 10% from the UK, 5% from Canada, 3% from Australia and then the first of the non-English speaking countries – Germany clocks in at 2% and Japan at a little less. But that’s visitors, and I’m interested in regular readers. So, if you self describe as a regular reader, then I’d appreciate you participating in the poll over in the sidebar. As you can see there are two poll gadgets there. The first is country specific, so if you are from one of those top visitor log countries then please vote by country in the first poll. If though you are like me and don’t live in one of those countries then please vote by area in the second poll. Obviously I would appreciate it if you kept to the traditional democratic concept of “one person, one vote” rather than some sort of “vote early, vote often” system. 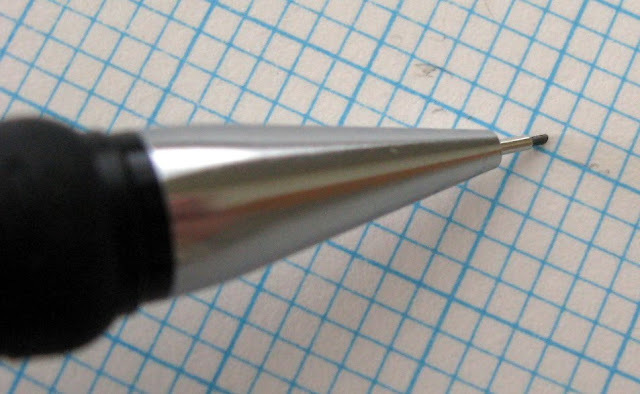 Like many writing instruments, the Rotring 600 has undergone many changes over the years. 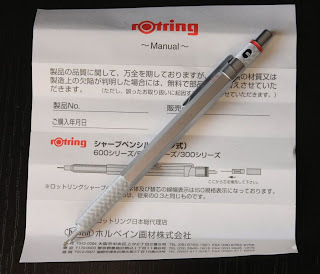 Here’s a link to a document attempting to identify and categorise the various changes undergone by the Rotring 600 series of pens and mechanical pencils. The document was compiled by Lawrence Gottlieb with the help of many pen friends. If you have any additional information then please leave a comment here so Lawrence can add it into the document. From across the ditch we have The Leaky Pen. I particularly like the intention to focus on pencil cases, and Judith's qualifications. 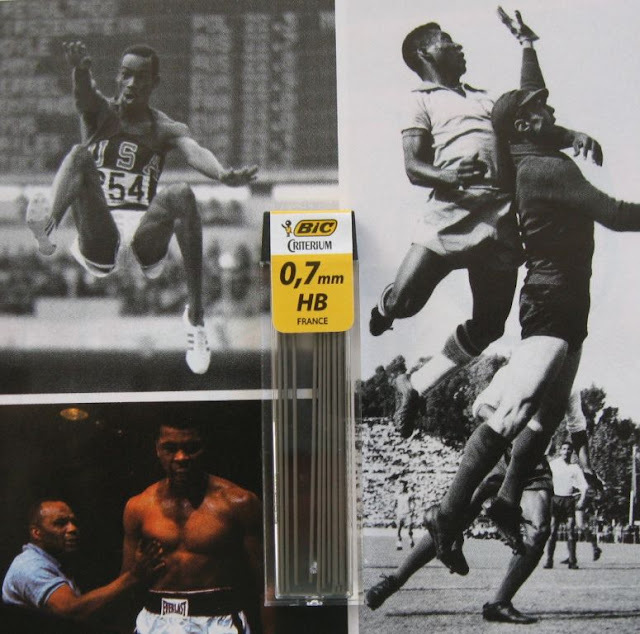 Last, but certainly not least, there is Ovidius Collection (photographs) – check the link in the sidebar. I personally don’t trip across a lot of pens, mechanical pencils and stationery products in general from Thailand and so don’t really think of there being a particularly large or export orientated mechanical pencil and stationery industry in Thailand, but maybe there’s more going on there than I imagine? Since Thailand has a lot of rubber trees it wouldn’t surprise me to see latex rubber erasers from there, even though I don’t recall ever seeing any. 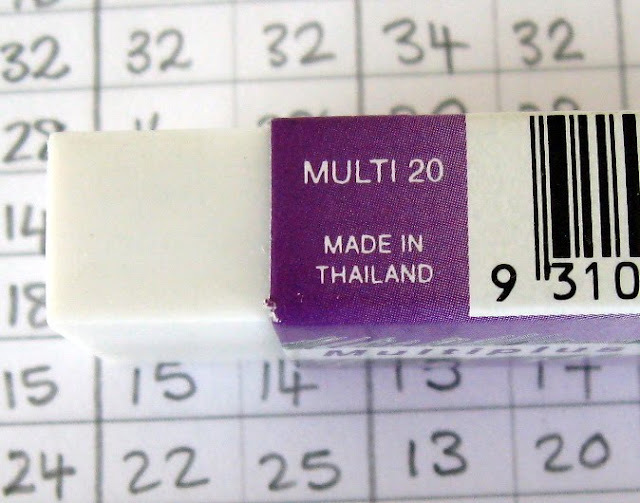 I have seen some plastic erasers from Thailand though, like this one. Personally I only have one mechanical pencil of Thai origin. Actually strictly speaking the statement is “Assembled in Thailand”. I have seen some implications that the actual components are of Japanese origin. 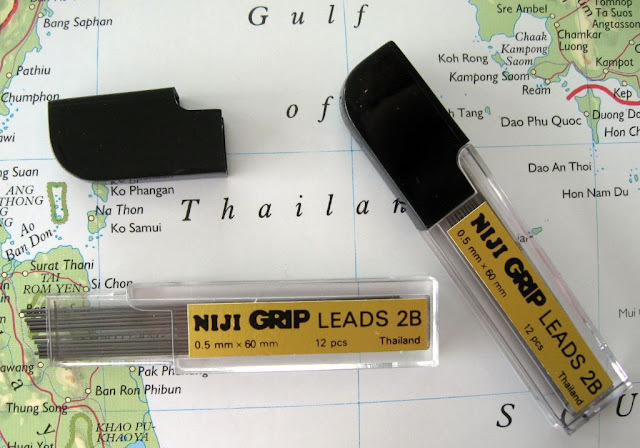 I do though know one brand of mechanical pencils and writing instruments associated with Thailand, and that is ‘Niji’. Now that sounds Japanese to me and it is a brand of Yasutomo and Company, who also have housebrands of ‘Yasutomo’ and ‘Y&C’. 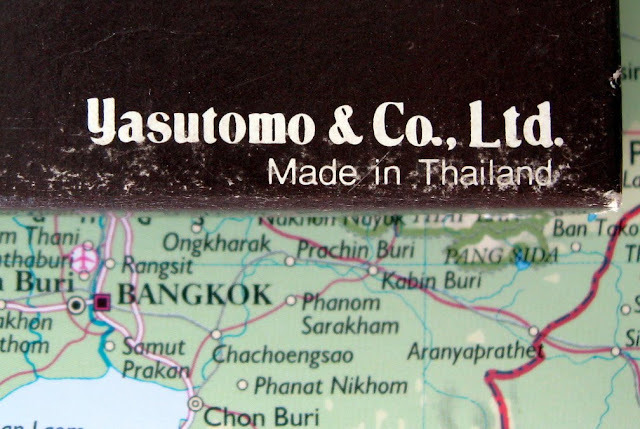 Various web searches quickly indicate that Yasutomo seem to source quite a bit of product from Thailand. 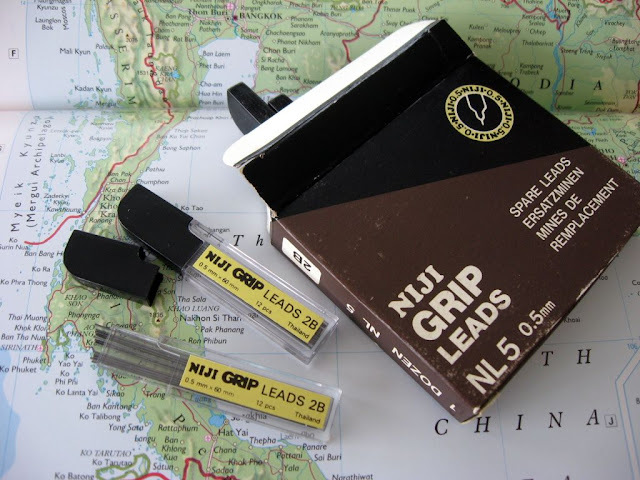 I don’t currently have any Niji mechanical pencils, but I do have some Niji lead refills, courtesy of JiBi_AI from Thailand. She tells me that they used to be common but these days they are rather rare, perhaps discontinued. I assume most of you will have noticed the new static pages linked across the top, courtesy of Bloggers new pages feature. 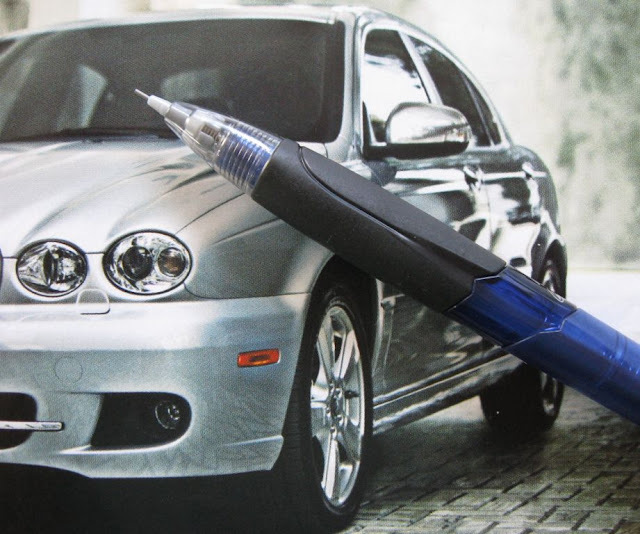 The newest page there is the Top 10 Drafting Mechanical Pencils, created by a panel of…international experts. Either that or me and a few guys I know. 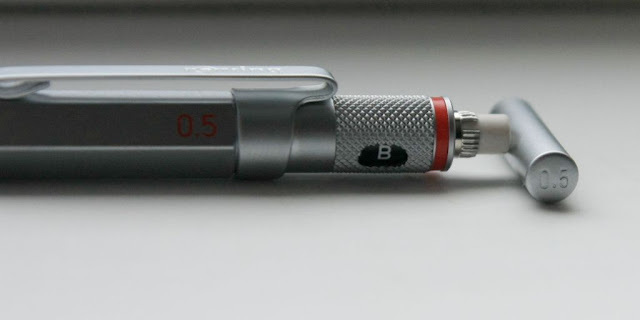 So if you are searching for the best mechanical pencil in the world, the ultimate technical pencil, then check out the Top 10 page for a few candidates. Also of course there is the My Top 5 Mechanical Pencils page for those looking for more general recommendations. A Top 10 or Best Mechanical Pencils for general writing is also under consideration...we’ll see how that goes. 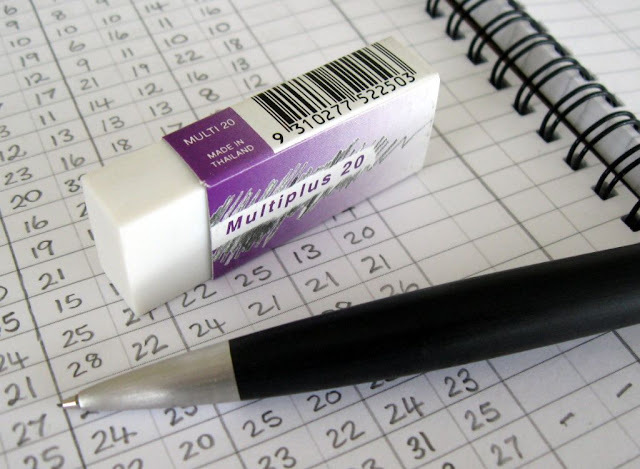 Regular readers of this blog will have deduced that late last year I made an arrangement with Euroffice in the UK to review some mechanical pencils that they sell. Well, this review is the fourth and last resulting from that agreement. I must admit that I approached the 5 Star Premier mechanical pencil with some trepidation, and that I wasn’t expecting a fantastic experience. The 5 Star Premier seems to have some visual cues that always make me start thinking of certain Staedtler and Faber-Castell mechanical pencils. I suppose that may well have been the designers intention - invoking thoughts of premium brands. 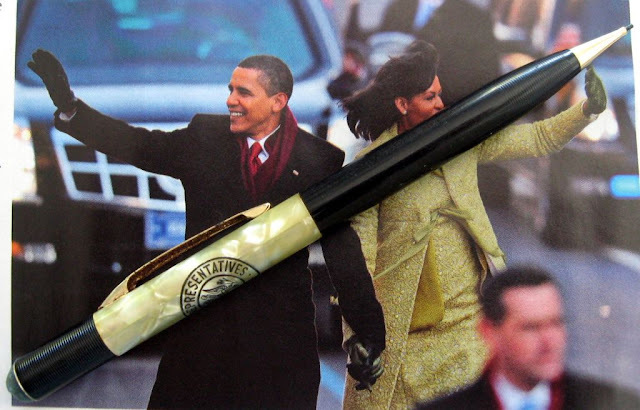 In the hand the Premier is a lightweight pencil and neutrally balanced. The rubber grip has a series of grooves in it which combine with the concave shape and the rubber compound to give a good secure grip. The rubber grip is about 10mm diameter in the centre of the concave depression, but the grip is slightly loose over the main body underneath so there is a little bit of flex (and stick) as it depresses under finger pressure. Overall though, this is quite a good rubber grip. The chrome top button conceals a small eraser. The top button has a hole in it, which I think looks quite good, and presumably it also has a practical purpose - to help reduce breathing obstruction if accidentally swallowed by a small child. The top button is rather a loose fit on the eraser holder so I wouldn’t be surprised if it came off and was lost after a while. 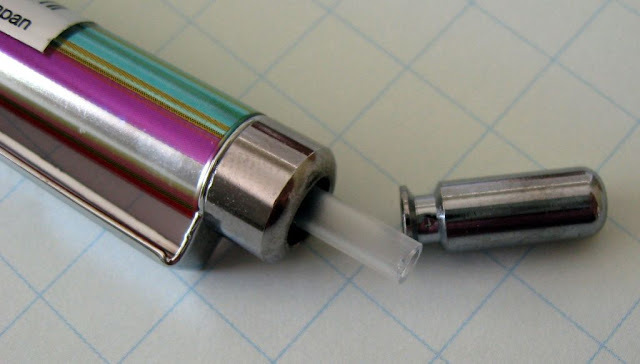 The eraser push fits into its holder, and that whole section in turn push fits onto the plastic tube that is the lead refill chamber. As always, I have my doubts about the long term security of this arrangement, although this one is a tighter press fit than many others. The lead refill chamber is quite a narrow diameter so it will only take a small quantity of leads. The lead advance mechanism is a standard push top ratchet. Ten clicks will get you about 6mm of the 0.5mm lead. I believe 0.5mm is the only lead option available. There is no 0.7mm or other versions. 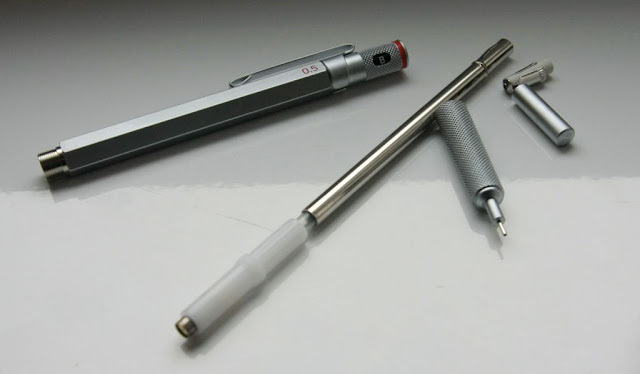 The lead sleeve is a 3mm thin metal pipe so this possibly qualifies as a draughting mechanical pencil. 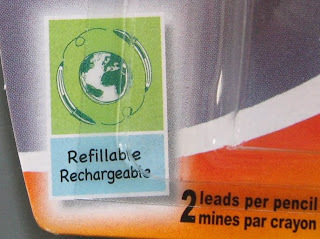 The lead sleeve is fully retractable for pocket safety. The main body has a rather unusual round to octagonal to round transition just above the rubber grip. The pocket clip is a good strong springy metal clip. Neither the packaging nor the pencil carry any indication of country of manufacture. I don’t usually comment on the lead that a mechanical pencil comes pre-loaded with, but in this case I will. The lead was quite good, reinforcing the overall impression that this is not a cheap and nasty pencil. Overall then it’s fair to say my misgivings about the 5 Star Premier mechanical pencil were unfounded. It’s nothing particularly fancy or noteworthy, but they have a made a pretty good fist of it. As always though, I cannot comment about durability, although I imagine it would be acceptable considering it’s cost. • Best Points – The rubber grip’s not bad. • Not So Good Points – Top button is a bit on the loose side. Dimensions – Length 147mm, diameter 9mm at main body. Balance point about 70mm up from the tip. This 5 Star Premier mechanical pencil was supplied to me by Euroffice, an office supplies specialist in the UK, in exchange for putting it on this blog and an acknowledgement. 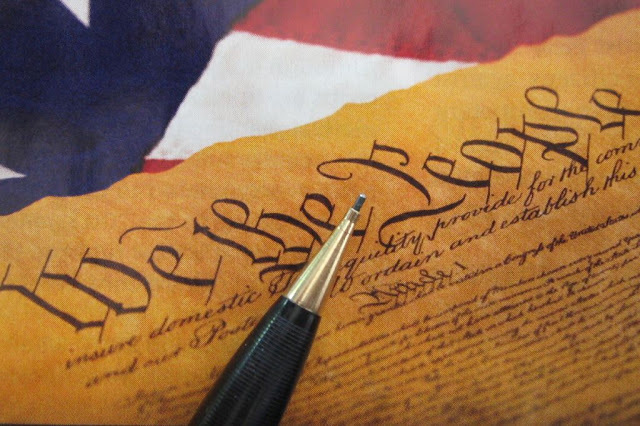 Am I guilty of a federal felony, of ‘receiving stolen goods’? To wit, one Sheaffers “U.S. 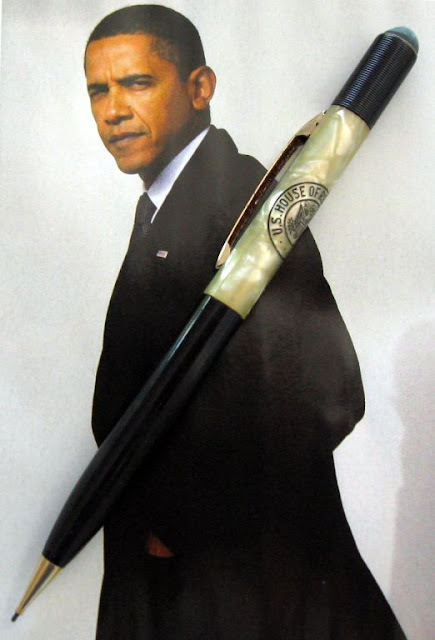 House of Representatives” mechanical pencil. 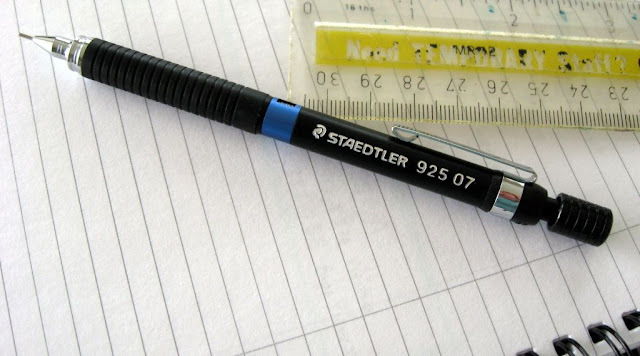 Ahhh, to think that this mechanical pencil is an artefact associated with the inheritors of that wonderful legacy. Even one of Her Majesties subjects like me can appreciate the power of those words. I guess this mechanical pencil is from sometime around the 1970’s or 80’s? 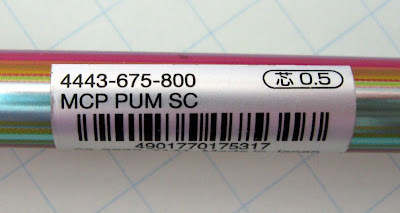 I note that there is no actual indication of Made in USA on the pencil. I suppose back then it just went without saying? It is a 0.9mm screw action mechanism. The whole top half of the body winds around to propel or repel the lead. The eraser has seen some action – the Congressional Representative amending notes on important legislation...modifying personal pork expense reimbursement claims…hey, just kidding. I suppose more likely it was just a general office pencil used by administrative support staff. There is some corruption corrosion on the underneath of the pocket clip. 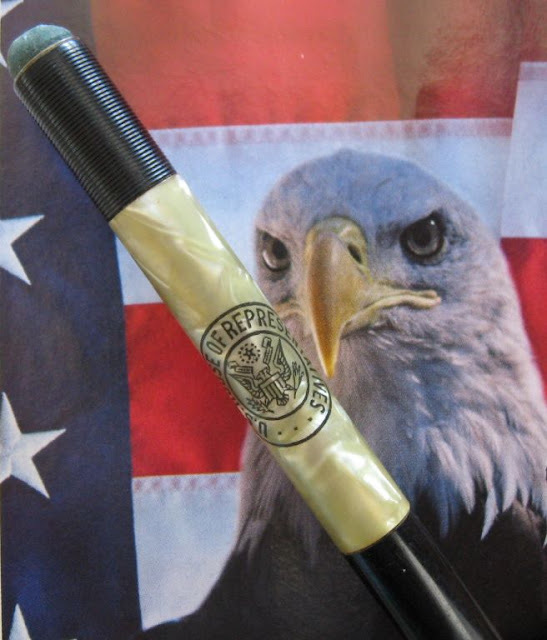 Well, I’m mighty glad to have this mechanical pencil and I’ll keep my fingers crossed that some SEAL Team doesn’t come a-knockin’ to reclaim US Government property. Seems like the First Lady approves of Sheaffers colour scheme? Of course some people do enjoy going shopping, but others regard being dragged along for a morning shopping at the mall as akin to…well some sort of torture, and would prefer to...I don't know, maybe volunteer down at the local zoo mucking out the hippopotamus chamber…but today I was saved, for there at the mall, in the window of one of the stores that had an outside entrance was THE SIGN. “Stationery Outlet – Closing Down – All Stock Must Go”. I was freed from my shackles. Actually there wasn’t much of interest in there, but I was free…and the art supplies store across the road beckoned. I was probably a bit euphoric and I saw some mechanical pencils by Pantone. Never seen those before. Part of the Pantone Universe range of office supplies. Cash leaked from my pockets. 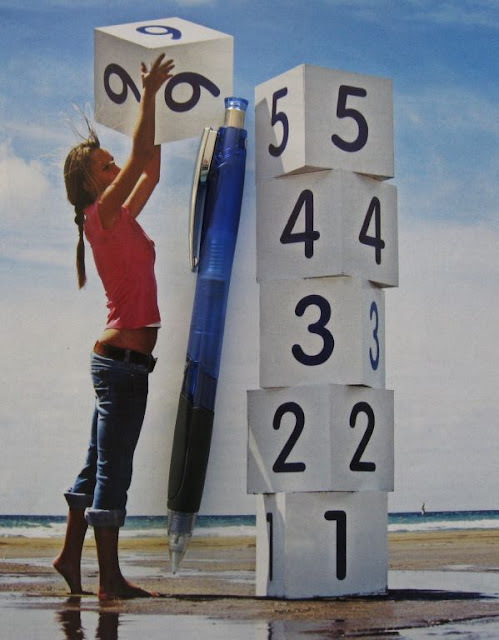 The Pantone mechanical pencils in the store were in a variety of single colours, and in bright combination colours. I bought one where the colours are thin strips down the length of the metal body producing a shimmering rainbow of colour effect. To be honest, whilst the colour scheme is dazzling, and the Pantone name commands a price premium, the pencil is rather ordinary. 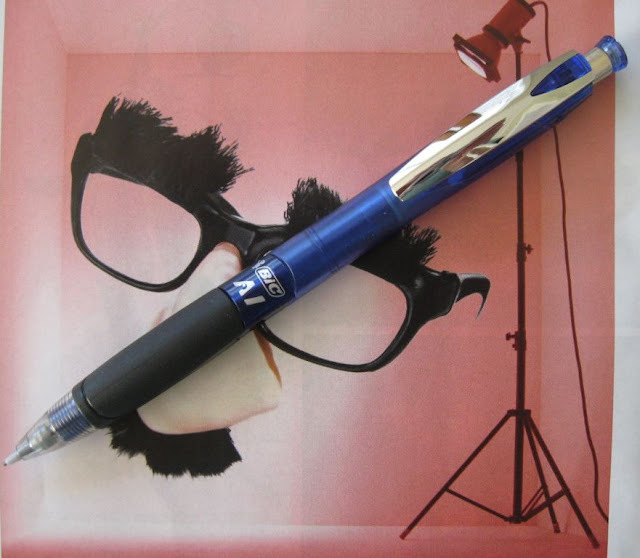 There were two models of mechanical pencil for sale – fixed drafting style sleeve and retractable writing style sleeve. From looking at the stickers on the pencils, I think 4443 is the model number for my fixed sleeve style mechanical pencil. 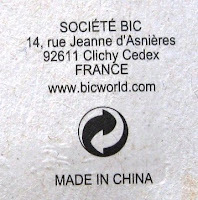 To be honest I normally associate the BIC brand with reliable, value for money, economy price range products, including their mechanical pencils. I was a little surprised to recently see a new (at least to me) model of BIC mechanical pencil in a local store and both its price tag and appearance were a step above the norm for BIC. I decided to take a chance and buy it. First then the visual appearance. To my eyes the BIC AI mechanical pencil is dominated by a large almost oversize looking chrome pocket clip. It really does stand out against the dark blue and black body. I won’t say that the AI is a beautiful or classic looking mechanical pencil but it is eye-catching, and not in an eyesore sort of way. In the hand the AI is relatively lightweight as expected. The balance is noticeably slightly top heavy, although that top heavy feeling is not totally backed up by the position of the centre of balance measurement. 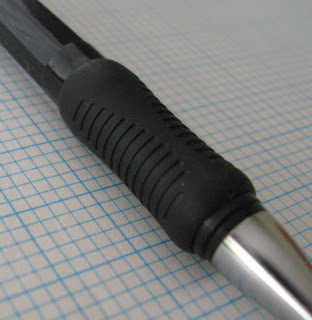 The AI mechanical pencil has a rubber grip zone. The rubber grip has a slightly bulbous contour and a smooth surface apart from one grooved line running through it. The rubber material is quite hard and only of limited grippy-ness factor. Basically it’s one of those rubber grips that don’t rate highly with me. At just over 11mm (7/16th inch) diameter the grip is on the wider side of town and it’s bulbous contour isn’t really to my personal liking. I have previously mentioned the large pocket clip, which is chrome plated plastic. It is not sprung, but quite stiff and reliable. 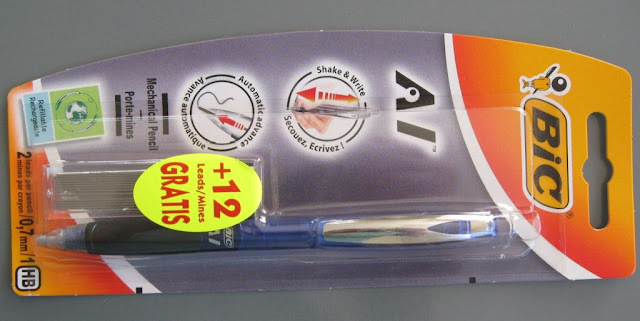 My AI mechanical pencil is 0.7mm lead size, and was supplied with a spare container of BIC lead refills. 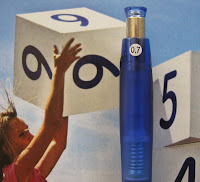 There is a small eraser beneath the top button, and you pull the eraser out to access the lead refill magazine which doesn’t hold a large number of refills. 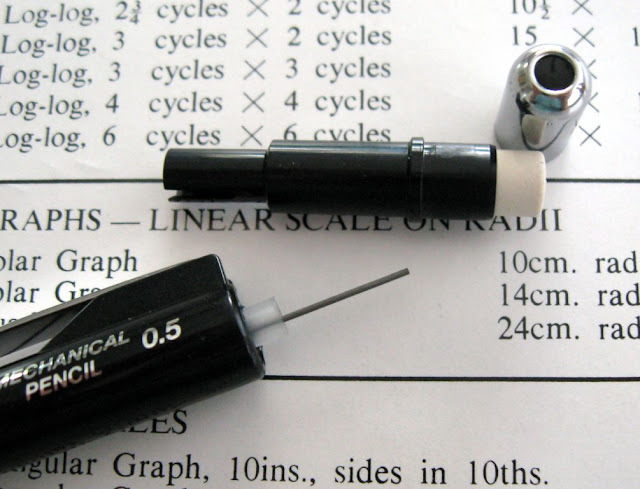 Now then, onto the main feature of the AI mechanical pencil – it’s lead advance mechanism. It is a push top ratchet advance mechanism with the addition of a shaker, and it is also an auto-advancer. Let’s take these one at a time. Firstly as an ordinary push top ratchet mechanism it feels a good positive mechanism, with a positive click and a rather long activation stroke. 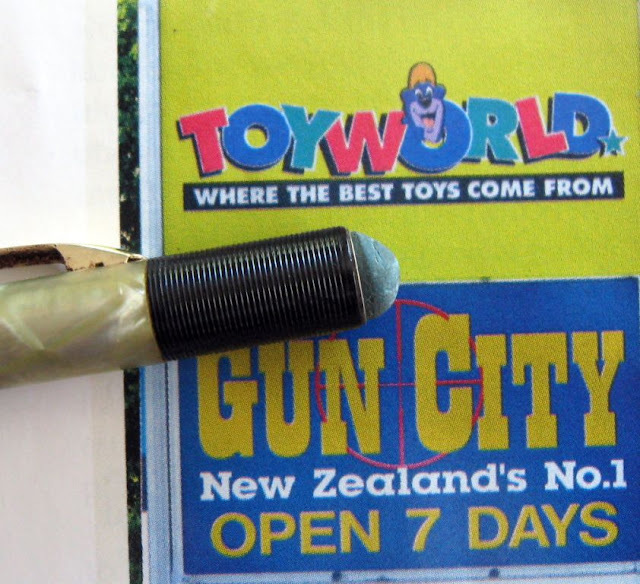 Ten clicks will get you about 8mm of 0.7mm lead. The shaker mechanism works well, and seems about the right sensitivity – you don’t have to shake it too hard but equally it isn’t too sensitive to inadvertent movements. One problem I did have though is feeding new leads. 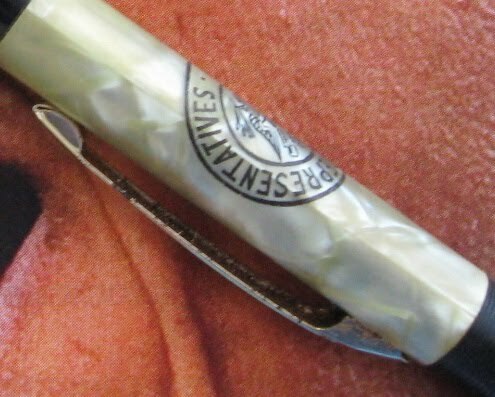 On several occasions when an old stick of lead had worn out a new one just would not feed through from the lead magazine and I had to resort to sticking one in through the spout, so to speak. Other times though new leads would feed from the magazine. Perhaps some minor difference in lead diameter, or some contour on the end of a particular stick of lead causes it to catch and not feed through…who knows? Lastly then we come to the auto-advance feature of the AI. 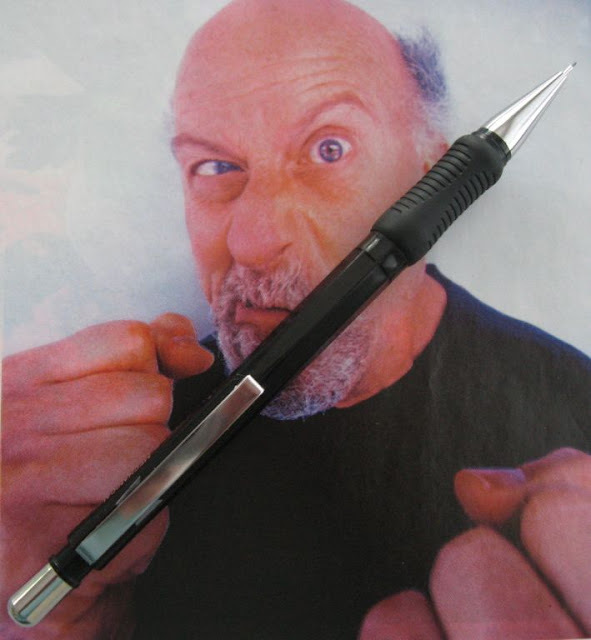 Now I have previously reviewed a few auto-advance mechanical pencils and generally been on the unimpressed side of the fence. 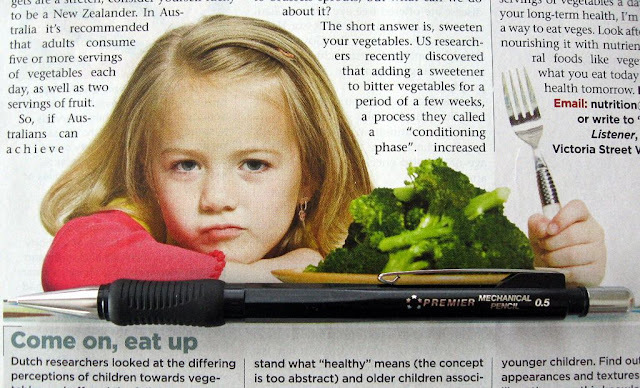 So then, trying to keep a positive frame of mind, what about the BIC AI mechanical pencil? 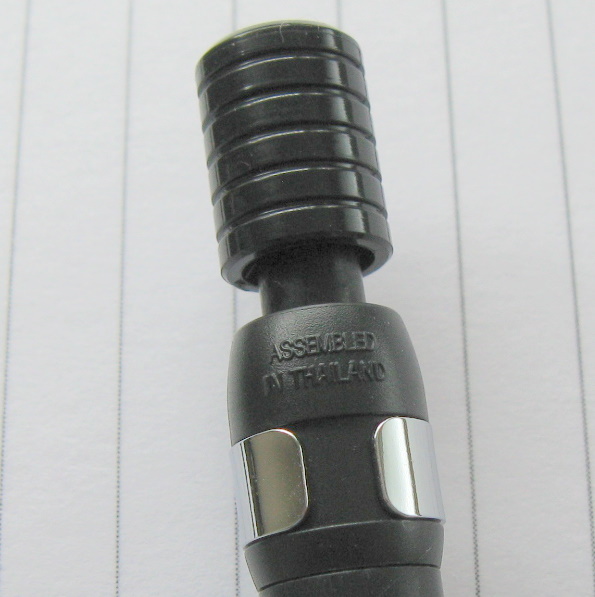 Firstly then the tip or lead sleeve is a short conical plastic sleeve and it is not retractable. Just to be clear though, you can retract the lead back inside the pencil. When writing with this pencil and the lead wears down enough to trigger the auto-advance feature you don’t really notice it. Sometimes the line you write is definitely lighter than normal, sometimes you can notice some drag-through effect as you cross back over an existing line on the paper but overall it’s pretty good. Whilst mechanical pencil nuts might notice these things I’m not sure the general public would, or would care if they did. Like all auto-advancers I know, this one works best with frequent removal from the paper. 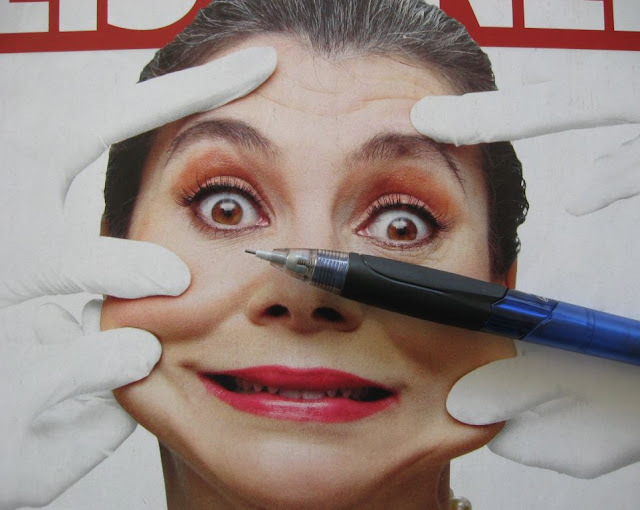 Lifting the lead on and off the paper allows the auto-advance to activate so drawing long lines or writing long connected cursive script can cause some problems. The lead sleeve (tip) does have some small amount of bend or wobble it. Those of you who demand precision, then stay away. Personally I can live with it for normal writing purposes but I did note sometimes my line was not quite exactly where I intended. This was exacerbated when using auto-advance because you don’t really have an easily visible lead tip to place on the paper. As always I would suggest you use the auto-advance feature only as a back-up. Use the push top button or shaker to routinely advance lead, and let the auto-advancer kick in only temporarily. Having said all that above, the BIC AI auto-advance has one feature that took me by surprise. No plunging. Now I don’t know if this is a new and improved mechanism that has eliminated the dreaded plunging, or somehow my particular pencil was immune to it, but it made a huge difference to me. I hate it when auto-advancers plunge. 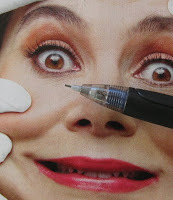 You are writing away and suddenly the pencil seems to plunge forward into the paper, or the tip slowly disappears back up inside the pencil. Grrrrrrr! Well, my AI had none of that. It was a very pleasant surprise, and I take my hat off to BIC and the factory in China that makes this mechanical pencil. At the beginning of this post I wrote, “I decided to take a chance and buy it" (BIC AI). Well, because of the workable auto-advance mechanism it was worth it, lady luck was smiling on me that day. • Best Points – An auto-advance mechanism that is actually acceptable. • Not So Good Points – I’m sure they could do better with the grip. Dimensions – Length 144mm, diameter 11mm at widest part of grip. Balance point about 75mm up from the tip.